The old face of mathematical practices, stemming from Pythagoras. The pain the old practices have brought to too many students. The new light that is dawning in mathematical practice. 1. Listen up, Pythagoras is talking! 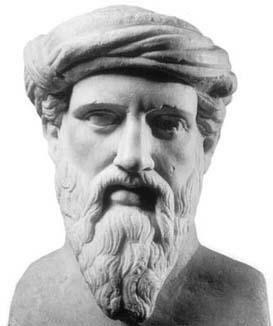 Pythagoras was born on the Greek island of Samos, about 2576 years ago. The MacTutor history site has more details on his life. Pythagoras is possibly responsible for the name “mathematics” which comes from the Greek “mathema” – the lesson. Followers of Pythagoras had to undergo an apprenticeship in which they sat in total silence, listening to Pythagoras from behind a veil or screen. At this stage the apprentices were not known as mathematicians, but as acousmaticians – students who sat and listened. Pythagoras is often regarded as the father of mathematics, and modern day mathematicians often see themselves as directly descended, intellectually, from Pythagoras: “We are all the children of Pythagoras, after all, who said that nature is nothing but numbers.” Dennis Overbye. Mathematics teaching – expounding “the lesson” – has largely followed the model of Pythagoras for over 25 centuries: prepare a lesson in detail and expound it, more or less clearly, to the students. To some extent, the role of the teacher as the source of mathematical knowledge has been replaced by text book authors. Classroom teachers K-20 are often mere interpreters of text book material, reduced to setting exercises from the text, trying, often desperately, to give some sense of why this material is being covered at this time, and what it has to do with anything. The Pythagorean model is a model of teaching and learning that is largely authoritarian. At its best, an inspiring teacher can help students mind and spirits soar. At its worst it can bring about learned helplessness, fear, loathing, terror, and lifelong hatred for anything quantitative. I OFFICALLY hate #math forever. Mathematics anxiety is a major problems, particularly among prospective elementary teachers. What is the origin of such hated and anxiety? Is every subject like this? Do students hate and fear language studies, geography, music, art like this? No, they do not. 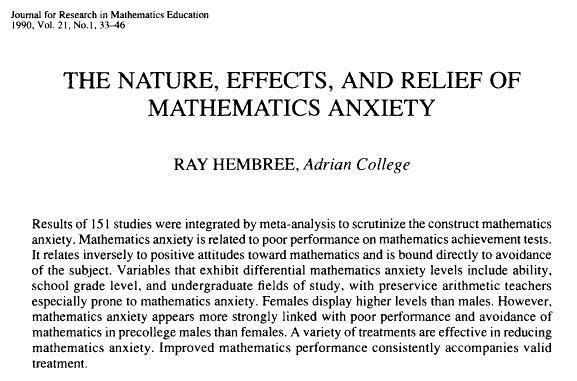 Mathematics is an outlier in terms of the number of students who experience fear, hatred and anxiety in mathematics classes. Fear and hatred of mathematics stem in large part from the authoritarian teacher as all-knowing expert, a view of mathematics teaching that fits so comfortably in the Pythagorean tradition. This fear and hatred is made worse by a process of inter-generational abuse in which some frightened, insecure elementary teachers pass on their own fears to their young students. Secondary and tertiary teachers might be less fearful of mathematics, and less scared of seeming ignorant, but in the main they perpetuate an authoritarian view of mathematics, descended from the Pythagorean lesson. This is a horrible situation, and it needs to stop now! Mathematical practice, and mathematics teaching, are changing, and a new, more democratic, social, collaborative and cooperative, way of doing mathematics is on the rise. It is still in its early stages, and hasn’t gone viral yet. But I predict it will, and soon. Digital technology and brilliant mathematicians and mathematics teachers who are “on”, and divorced from the authoritarian expert attitudes of the past, are driving this change. 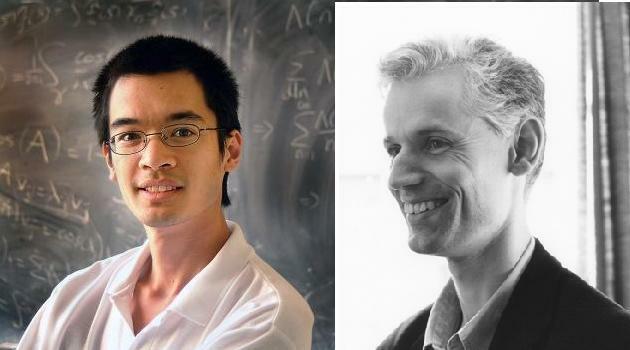 Prominent among mathematicians with a cooperative, collaborative, open attitude to mathematics are Terry Tao and Timothy Gowers. Both these guys are Fields Medalists, so they have nothing to prove to anyone. But there have been lots of Fields Medalists before them who have not adopted their open attitude to mathematics. These two mathematicians have the intellectual and emotional DNA and live in an appropriate time to push forward a new way of thinking about, doing, and learning mathematics. Terry has a blog on which he discusses many aspects of mathematics, including his current research. Some of this is hard reading – no kidding, since this guy is truly one of the mathematical greats. What you can see on Terry’s blog, even if the mathematics seems overwhelmingly advanced, is how open and collaborative is his approach. Take a look at his posts and see how he opens up his thoughts, his ideas, his conjectures, and – most importantly – his ways of working and thinking. He is a mathematical hero of our times. His like has never been seen in the world before. Tim Gowers, an equally accomplished mathematician, has a blog on which he too discusses , ideas, thoughts, conjectures, and – like Terry Tao – exposes his ways of thinking and working. Tim has pushed the collaborative nature of mathematics further than anyone with his massively collaborative mathematics project. So there’s hope, a new light. Top mathematicians, as good as the world has seen, are adopting an open, collaborative approach to mathematical thinking. How about teaching in school, colleges and universities, where ugly attitudes to mathematics are learned? What’s happening there? Glenn Kenyon teaches grade 8 at The San Francisco School. Glenn has a blog on which he discusses his ongoing quest for deep and meaningful mathematical engagement with his students. Milton Ramirez manages Education and Tech, and has a blog on which he discusses a wide range of educational and technology issues, from an open and collaborative perspective. 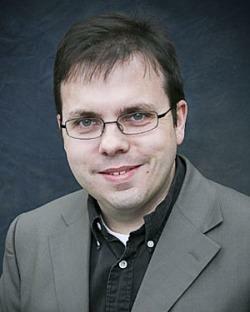 Robert Talbot is an Associate Professor of Mathematics and Computing Science at Franklin College in Franklin, Indiana. Robert maintains a blog on which he details his interactive approach to teaching and learning mathematics. You, the reader, will know many more brilliant teachers who are changing mathematics teaching and learning in positive, open, democratic, collaborative ways. Please share them in the comments. The old authoritarian face of mathematics is on its way out. The pain, hatred and anxiety experienced by so many students, and prospective teachers, might soon be a thing of the past. A new light is dawning on an open, democratic, collaborative way of engaging with mathematics.